When we think carnivals, fairs, or out door entertainment we can identify corn dogs as one of those favorites. Usually deep fried with your favorite sauce they are one of the kids favorite treats. But what if we could remove the deep frying and speed up the process. Well with this recipe, making corn dogs is as easy as 1...2...3. This recipe takes the grease and standing over a fryer and replaces it with quick mixing and then in the oven to cook away while you relax with the family. You could make these as a quick dinner or serve for a kids party. Great for kids or adults alike, they will love to dig into these with the homemade dipping sauce. Enjoy! 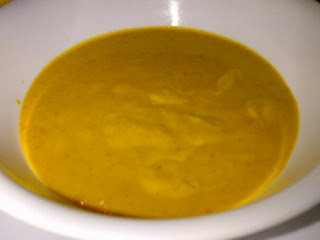 In a small bowl add both mustard's and whisk until combined, add in the agave and whisk again until the mixture is combined. 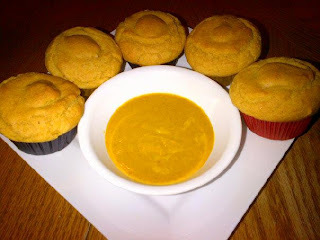 Set aside to serve with the vegan corn dog muffins. Combine corn meal, flour, sugar, baking powder, baking soda, nutritional yeast, and salt in a mixing bowl or stand mixer. In a separate 2 cup measuring cup, combine vegan buttermilk, agave, oil and The Vegg. One the liquid mixture is ready, mix it into the dry ingredients, stirring and wipe down sides and bottom as needed. The mixture will be combined and may have a few lumps, don't over mix. 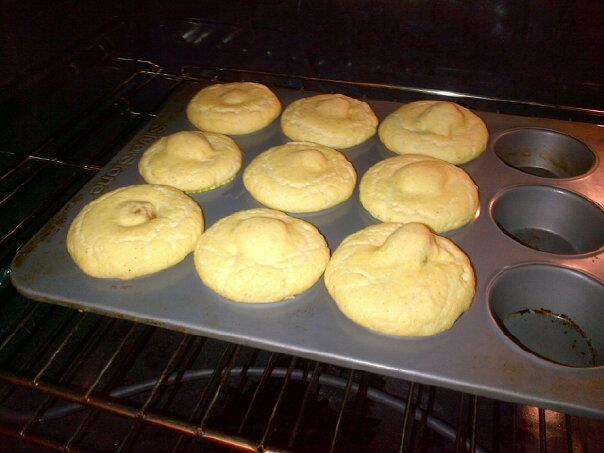 Fill your muffin or large cupcake tins with your favorite wrappers and fill them with 2 Tbsps of the batter. 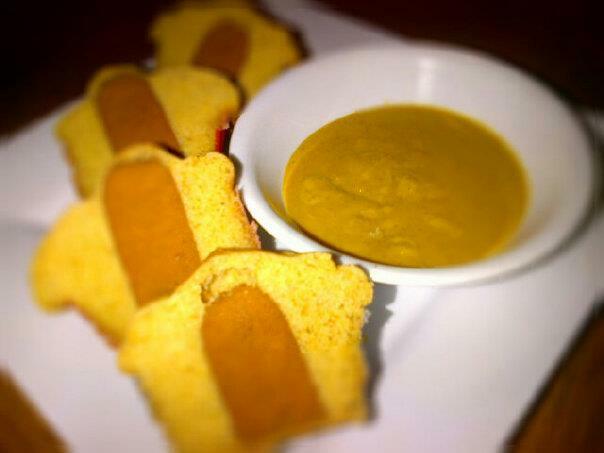 Cut the vegan hot dog into 1-inch pieces and add into the center of the now fill tins. Add another 2 Tbsps on top and/or sides of the vegan hot dogs and after all are covered, tap gently to let any air bubbles escape. 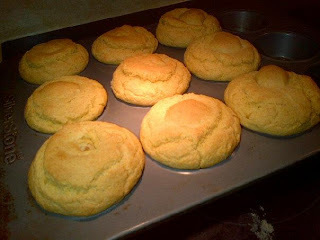 Bake until cornbread is done, about 15 minutes. Remove from the pan and serve with the Agave "Honey" Mustard Dipping Sauce or ketchup. Enjoy!